This has been a tough few months for us. I posted in May when we lost Michael's mother. 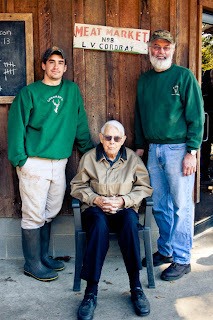 Last week his father, Grandaddy, as all our employees called him, fell and broke his hip. After just a few days in the hospital, he passed away. He leaves a huge void in our lives, but we're trying to honor his legacy by getting back to work! We will truly miss him.